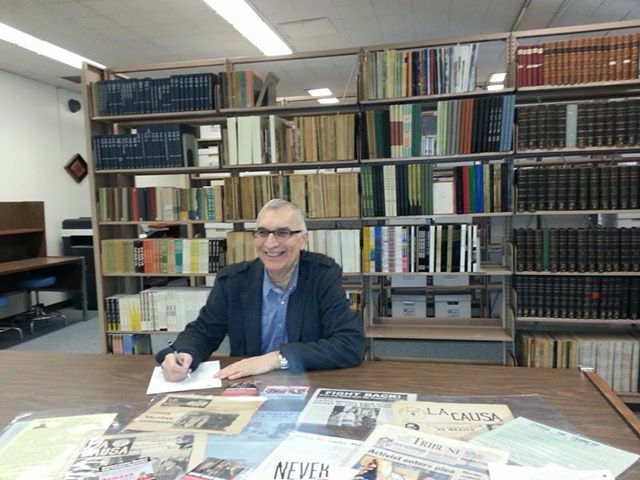 Chicano activist Carlos Montes’ collection donated to LA’s Cal State University | Fight Back! Los Angeles, CA - Carlos Montes, a nationally respected leader in the Chicano, immigrant rights and anti-war movements, donated his archive collection to California State University, Los Angeles, Jan. 16. The Montes Collection will be added to the East Los Angeles Archive, which is housed in the University’s John F. Kennedy Memorial Library. “I selected Cal State LA Library’s East Archive to donate my personal political files from the Chicano movement because Cal State LA is a local and respected educational institution that will make them available to the community, students, professors and the general public,” said Montes. Montes was a co-founder of the Brown Berets, a Chicano working-class youth organization in the U.S. in the late 1960s and 1970s. He was also one of the leaders of the Chicano Blowouts, a series of walkouts of East Los Angeles high schools to protest against racism and inequality in Los Angeles-area high schools. He is portrayed by Fidel Gomez in the 2006 HBO movie, Walkout. 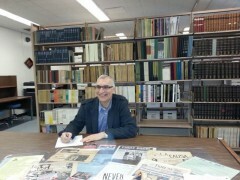 His first submissions to the archive included issues of La Causa, the Brown Beret newspaper, flyers of the political trial for the Biltmore case, legal transcripts of the court proceedings from the East LA high school walkouts prosecution, the Los Angeles Magazine with an article featuring Carlos Montes, and the Biltmore case grand jury indictment. “Both of the cases addressed political repression against the Chicano movement, specifically the Brown Berets and myself,” Montes explained. The East LA Archive at Cal State - Los Angeles documents the lives and events of an historical community central to the social, political and cultural history of the Chicano and Latino community in the U.S. It collects, preserves, displays and disseminates documents, artifacts and other materials related to the social and political life of the East Los Angeles region. The archive currently consists of The Gloria Arellanes Papers, The East Los Angeles Community Union (TELACU) collection, the “Mexican-American Baseball in Los Angeles” Exhibit Collection, the Jose R. Figueroa Collection and the Claudia Baltazar Poster Collection.